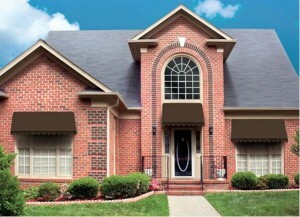 Does An Awning Add Value to My Home? When it comes to selecting an awning, home owners are motivated by many different factors. A residential awning can bring countless benefits to your home, including shade, sun damage protection for exterior and interior surfaces, and a definite boost to your curb appeal. But have you considered the other kind of benefit your awning investment could bring? Read on to find out how the addition of an awning can bring value to your home. Home ownership in America has changed drastically over the years. While in past generations people elected to live in their homes for decades on end, now, the average homeowner will put their home up for sale every five to seven years, making for a rough estimate of eleven total “moves” during their lifetime. Because of this, homeowners frequently take on the role of house hunters, and they are always going to be looking for a new dream home. If you are a homeowner who will be putting your home up for sale soon, you want to make sure that you have taken every possible measure to get the most value for your home. If you make the smart investment in an awning now, you will be able to reap both the immediate and future benefits of the value it brings to your home. House hunters will be on the lookout for anything that makes their new residence stand out, and an awning is an eye-catching, ideal way to ensure that they find it!